Since the beginning, we’ve been committed to helping small businesses thrive with parcel delivery that is simple, reliable and affordable. As we all get busy for shopping season, we have a few things to let you know. Announcing $4.75* (ex GST) 500g Satchels! We’ve reduced all of our same city rates! For Pro Plan customers our same city 500g satchels are down $1.00 to a super sharp price of $4.75* (ex GST). 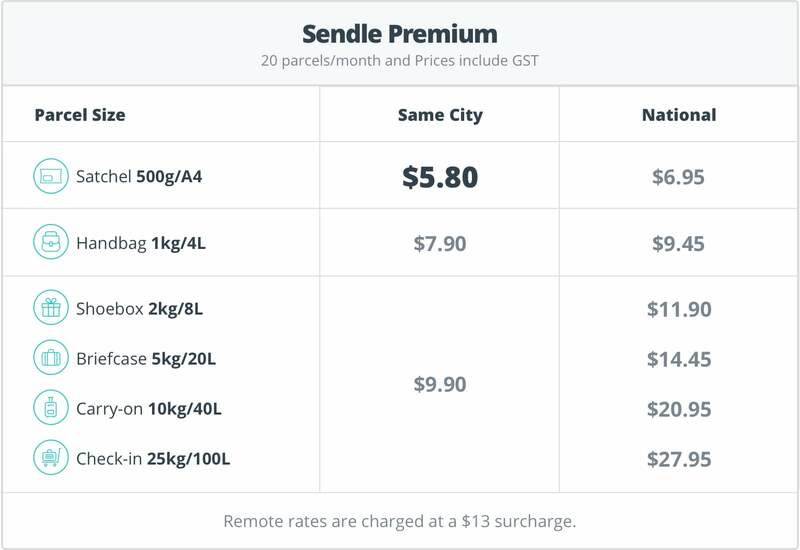 There’s also good news for those on our Premium plan, with our same city 500g satchel rate discounted by 14% to $5.80 ($5.27 ex GST). This is incredible news for our small businesses! If you’d like to access these rates for your business, contact our fabulous team. We have adjusted our rates to reflect standard changes in markets and CPI, and to make your shipping even more competitive. Some rates have come down, some have stayed the same and others have gone up. Scroll down to see the full rates for each plan. These rates will come into effect on 29th October 2018. 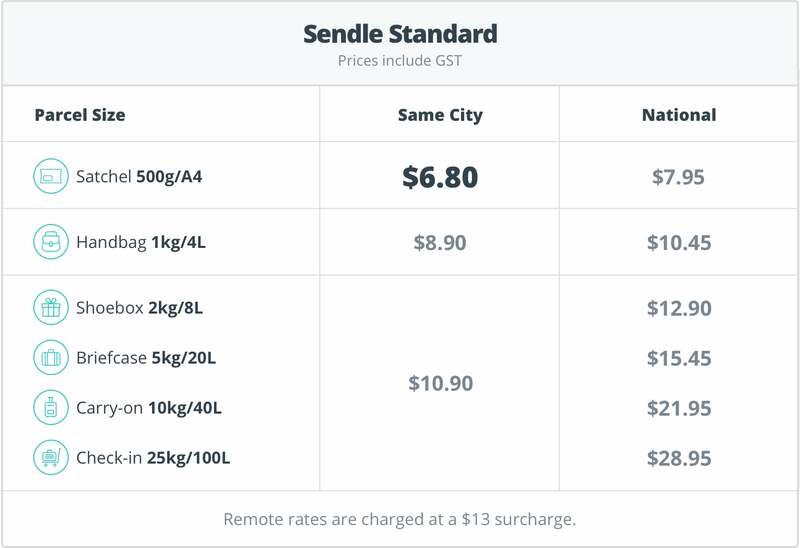 To help your business succeed, we developed the Sendle Price guarantee so you can send your 500g satchels, 2kg, 5kg, 10kg and 25kg parcels to Sendle's same-city and national zones for less than standard Parcel Post rates! If the standard Parcel Post rate is cheaper, we’ll beat it. That’s a like-for-like, kilo-for-kilo better price guarantee! For business plans, save 30% to 60%† on same city parcels and save 16% to 72%† on national parcels! So why post when you can Sendle? †Savings are compared to the latest standard Parcel Post rates, published 1 October, 2018. Percentage comparisons shown range from destinations in the same state (min) to prices from Perth to Hobart (max). In line with our commitment to simplify, we’ve added a simple $13 surcharge for remote parcels. So even if you’re sending a full 25kgs of love to folks in Ghan, Northern Territory, it’ll still only cost $13 more than the national rate. Aussie goods are going cheap with the dollar at a 2.5 year low, and the good news is, there’s never been better time to start exporting. We’ve maintained our international rates just as they are, so you can compete with the folks overseas. Here are the rates for our Standard, Premium and Pro plans. These will come into effect on 29th October 2018. Where do I find out more about the Price Guarantee? There’s a whole page on it, just pop over here to compare rates, or take a look at the Terms and Conditions. Wait, there’s a free Premium plan? How do I access it? If you send 5 or more parcels a week you’re eligible for Premium rates! Upgrade to Premium for a 12 month, no-minimum trial. How do I send a same city $4.75* (ex GST) 500g Satchel? 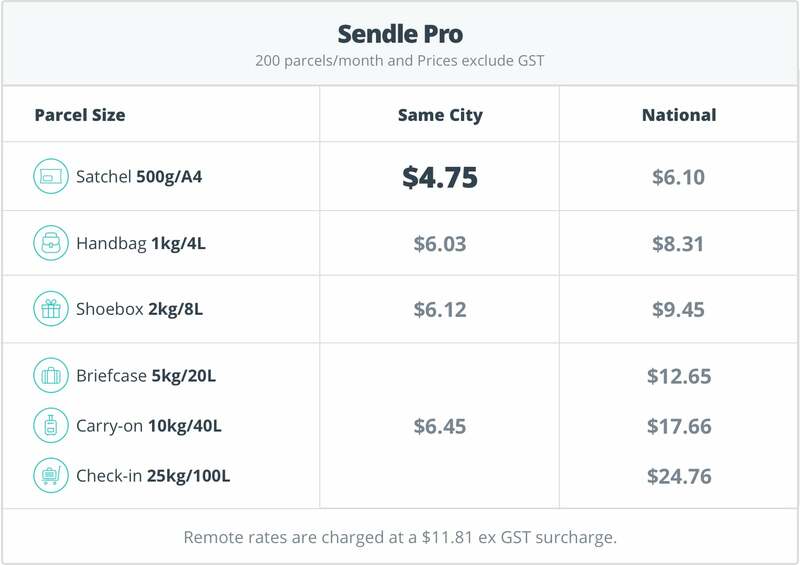 This rate is available to Sendle customers on our Pro Plan, who are sending a minimum of over 200 parcels per month. For more information, contact our fabulous team. *For customers on our Pro plan sending a same city 500g satchel. 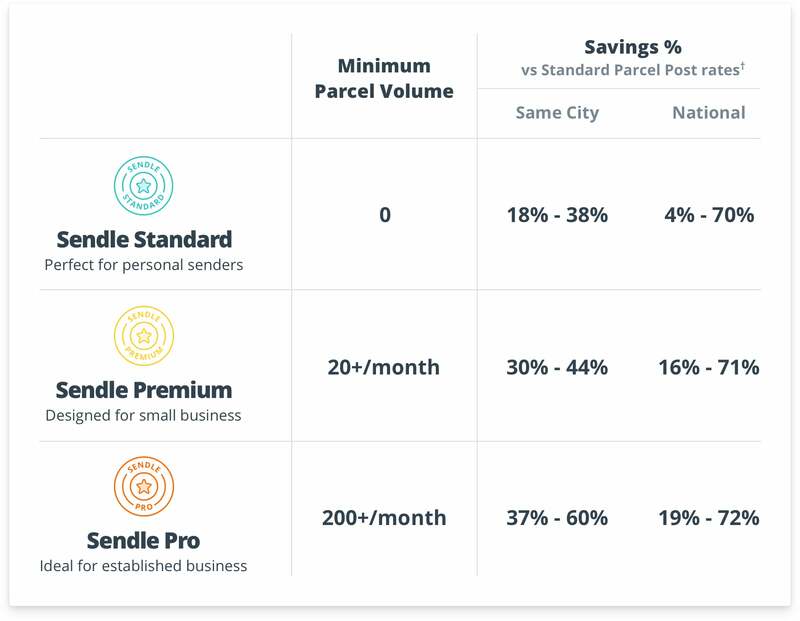 †Based on current Sendle pricing compared to latest standard Parcel Post rates, published 1 October, 2018. 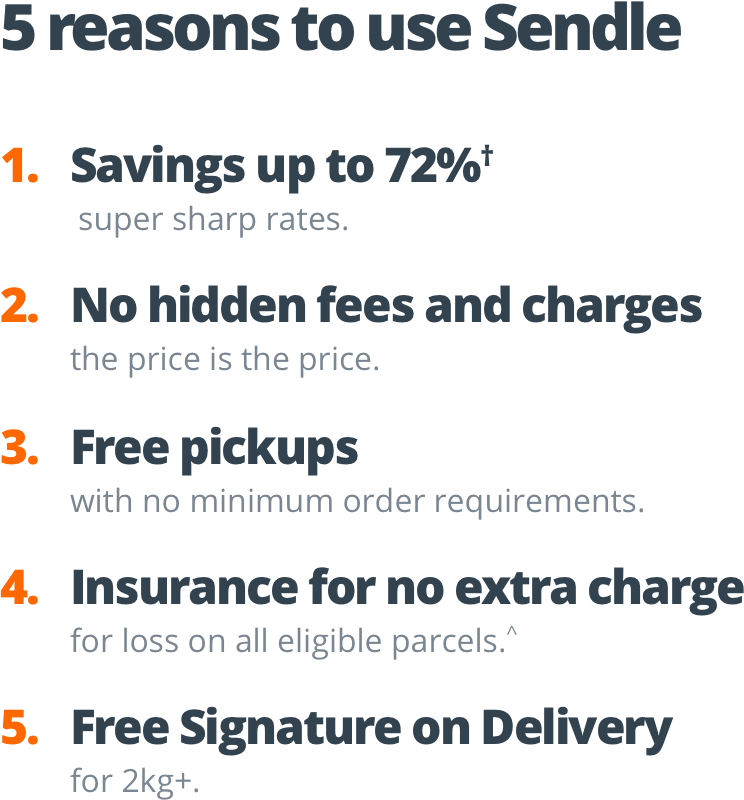 Guaranteed for Sendle’s Same City zone and National zone 500g, 2kg, 5kg, 10kg and 25kg parcels.